What is Song Work Out? 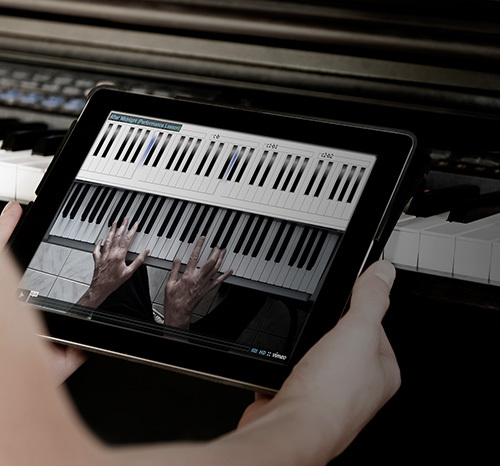 It’s the fast and fun way to learn the keyboard. Exercises and scales are the stairway to boredom. But you’ll learn all the technique and theory you need, if you work on songs that you love to hear. And while you’re having fun, your playing will glide easily up to the next level. You’ll also save a lot of money. Check out the price comparisons on our ‘register’ page. It’s an easy four-step process. Go to ‘Lessons’ library and choose a song you like. At present there are over 150 songs (450 + videos!) and we’re continually adding more. You can also suggest songs by going to our ‘requests’ page. Play the ‘Performance’ video. This will show you how I play the song. I love to sing, but the purpose of this exercise is for you to get an idea of the standard of playing you are going to achieve by following the lessons. Play the ‘Fundamental’ video. This will teach you the basics of the song. You won’t need to read music. I teach by demonstration and you can download a lyric and chord sheet to keep track of what I’m doing. Play the ‘Advanced’ video once you have mastered the basic changes and want to really enhance your performance. This video will introduce chord substitutions, passing chords and teach techniques that you’ll be able to apply to other songs you are learning.